Jeffrey grew up in San Antonio and graduated from The University of Texas with degrees in English, history, and philosophy. He realized early on he wasn’t going to write the great novel of his generation, and fell into a life-long love affair with the hospitality and wine industry. Jeff has combined three decades of restaurant management with rewarding careers in writing and education. 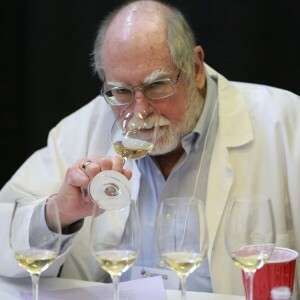 Since its inception in 2001, he has been a judge for the San Antonio Express-News Wine Competition. He taught for ten years in the Restaurant Management/Culinary Arts Department at Del Mar College in Corpus Christi, and was a frequent guest speaker at wine festivals throughout south-central Texas. He was also Food and Wine Editor for Gulfscapes Magazine which enjoyed a large readership throughout Houston and the Coastal Bend of Texas. In addition, he was a restaurant critic for the Corpus Christi Caller-Times newspaper. Jeff and his wife, Kathy, fell in love with the notion that Texas could produce great wine in the early 1980’s, and were pioneers in promoting the fact that Texas wines were more than a novelty. Kathy and Jeff now live in Fredericksburg, Texas, which is the heart of the Texas Hill Country AVA. For the last seven years they have worked full time at Grape Creek Vineyards, where Jeff has written over 300 installments for his hugely popular blog titled Jeff’s Corner.